Elmer Griffin Stricklett was born on August 29, 1876, in Glasco, Kansas. He was the eldest child of Charles Stricklett and Clementine “Clemmie” (Coffman) Stricklett.3 Elmer grew up on the family farm in Ottawa County in north-central Kansas.4 He played baseball in 1896 for the Minneapolis (Kansas) Stanfords. A right-handed batter and thrower, he pitched and homered in a 7-3 victory over Junction City (Kansas) on July 22. The Topeka Daily Capital described his home run: “Stricklett, the Stanfords’ invincible twirler, opened the ninth inning with a ball far out over the right field fence, where it twinkled for a few seconds and then dropped over the fence.”5 Although he stood just 5-feet-6 and weighed only 140 pounds, he had some pop in his bat. In 1900 Stricklett pitched for the Wheeling (West Virginia) Stogies and the Toledo Mud Hens of the Class B Interstate League, and compiled a 14-6 record.21 He joined the Sacramento Senators in the spring of 1901, and completed the long California League season, from late March to early December, with a 27-22 record. His pitches included “up-shoots, drops, fast and slow balls” and a “peculiar underhand curve ball.”22 When not pitching, he played in the outfield. In June 1902 Sacramento manager Mike Fisher persuaded Stricklett and Providence outfielder George Hildebrand to jump their Eastern League contracts and join the Senators.24 Stricklett learned of Corridon’s discovery from either Corridon or Hildebrand, and developed a pitch using this technique, which he began to throw in games. On December 11 the Los Angeles Herald quoted Los Angeles catcher Andy Anderson: “Stricklett has a ‘spit’ ball – we call it so because he wets the tips of his fingers. ...”25 Two days later Stricklett hurled a three-hitter as Sacramento defeated a barnstorming team of major leaguers.26 He was watched closely by the opposing pitcher, Jack Chesbro. Stricklett finished the season with a 20-16 record for the Senators. During Christmas week, he married a Californian, Mabel Beatrice Gates, in a ceremony at Mountain View,27 near San Jose, California. At Comiskey’s invitation, Stricklett attended spring training in 1904 with the Chicago White Sox of the American League, and he taught the spitball to Ed Walsh, Frank Smith, and other White Sox pitchers.34 Chesbro, of the Highlanders, observed Stricklett in a spring game and was inspired to master the spitball.35 Walsh and Chesbro would build Hall of Fame careers using the pitch. The use of the spitball in 1904 was a watershed for major-league baseball. Chesbro and Jack Powell threw it for the Highlanders and combined for 64 of the team’s 92 victories. Bill Dinneen and Norwood Gibson of the Boston Americans mastered the pitch, as did George Mullin of the Detroit Tigers and Bob Ewing of the Cincinnati Reds.39 Predictably, batters howled that the spitball would ruin their batting averages. The Brooklyn Superbas of the National League signed Stricklett to a contract for the 1905 season. Ned Hanlon was the manager of the team. 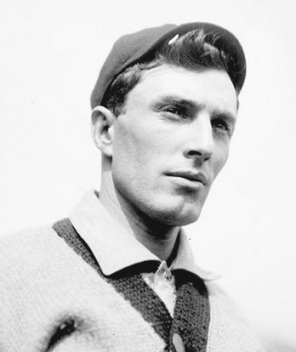 In Stricklett’s first start, he threw a five-hitter in Boston on April 19, but the Superbas lost 2-1 to the Beaneaters.40 On July 3 he outdueled Boston’s Vic Willis for a 2-1 Brooklyn victory.41 On September 25 Stricklett blanked the Chicago Cubs, 2-0, for his first major-league shutout.42 He defeated the NL champion New York Giants three times during the season. His wins were infrequent, though, pitching for the last-place Superbas. He finished the season with a 9-18 record and a 3.34 ERA. Sporting Life described him as a nervous, high-strung, erratic pitcher, who at times “shows the goods.”43 He returned home to Mountain View and pitched for the San Jose Prune Pickers of the California State League from October to January. The 1907 season was a tale of two seasons for Stricklett and the Superbas. Through games of June 15, Stricklett (1-8) and the Superbas (15-34) struggled; after June 15, Stricklett’s record was 11-6 with four shutouts, and Brooklyn (50-49) rebounded to a fifth-place finish. Three of his shutouts were consecutive: He defeated the second-place Giants 1-0 with a three-hitter on July 3; he beat the first-place Cubs 6-0 on July 6 (“Stricklett and his vapor float were too potent” for the Cubs53); and he blanked the third-place Pittsburgh Pirates 5-0 on July 13. His pitching was superb over the latter two-thirds of the season. He finished the season with a 12-14 record and a 2.27 ERA. No one could have imagined at the time that he would never again pitch in the major leagues. Stricklett compiled a 23-12 record for San Jose in 1908, beginning with an Opening Day shutout of Santa Cruz57 on March 28, and continuing through the end of the California League season in mid-November. His spitball was especially effective on July 18, when he made 13 assists in a 10-inning victory over Alameda.58 (The major-league record for assists by a pitcher in an extra-inning game is 12.59) In November it was reported that Stricklett had not received the money promised to him by the San Jose team owners, and he said he would seek reinstatement from the National Commission so that he could pitch for Brooklyn in 1909.60 The Superbas fell to seventh place in 1908 and anxiously awaited his return. In January 1909 Stricklett agreed to terms with Brooklyn and was prepared to apply for reinstatement, when he reversed course and signed a contract with San Jose as its playing manager.61 The Brooklyn Daily Eagle scolded him for his “great mistake” and claimed he was now “in bad” with the Brooklyn team and major-league baseball for deserting the Superbas a second time.62 Stricklett pitched for San Jose until July 12, when the team disbanded.63 The California League reorganized and he joined the San Francisco Orphans on July 14; four days later, the Orphans relocated and became the Sacramento Senators.64 He pitched for the Senators for two months, until the season ended. In November 1909 the National Commission handed down a stern ruling: Stricklett was banned from Organized Baseball for two years.65 This forced him to play for “independent” teams. In 1910 he pitched for the Sacramento Baby Senators in the Class D California State League and the San Jose Prune Pickers in the “Three C” League. Outside of baseball, he maintained his fruit ranch in Mountain View. In the spring of 1911, Stricklett fell from a ladder while cutting a tree limb and injured his shoulder.66 He recovered and pitched for teams in San Jose and Stockton from July to December. In January 1912 the 35-year-old Stricklett paid a $100 fine and was reinstated by the National Commission,67 but the Superbas no longer wanted him and sold his rights to Binghamton. He pitched for Binghamton and Elmira in the Class B New York State League, and in September he joined the Toronto Maple Leafs of the Double-A International League. He retired from professional baseball after the 1912 season. Stricklett tended to his fruit orchards until 1936, when he and his wife moved to Santa Cruz, California. He had a poultry ranch in Santa Cruz and worked as a surveyor. On June 7, 1964, he died in Santa Cruz at the age of 87. Although Stricklett did not invent the spitball, he has been called “the father” of the spitball because his early use of the pitch sparked a generation of spitballers, from Jack Chesbro and Ed Walsh, to Red Faber, Stan Coveleski, and Burleigh Grimes. “The Little Fox” from Kansas changed the game. After leaving Brooklyn, Stricklett continued to experiment in the minor leagues, and he reportedly invented a “spit-curve,” a “zafe ball,” and a “wave spitter.”68 Major-league hitters were spared from these puzzlers. 1 Cincinnati Enquirer, November 2, 1904. 2 Brooklyn Daily Eagle, April 24, 1905. 4 1880 US Census; 1885 and 1895 Kansas State Censuses. 5 Topeka (Kansas) Daily Capital, July 23, 1896. 6 Ottawa (Kansas) Evening Herald, April 17, 1897. 7 Topeka Daily Capital, August 15, 1897. 8 Topeka Daily Capital, August 21, 1897. 9 Atchison (Kansas) Champion, June 9, 1898. 10 Kansas City Journal, August 25, 1898. 11 Kansas City Journal, August 18, 1898. 12 Kansas City Journal, April 29, 1899. 13 Rock Island (Illinois) Argus, May 20, 1899. 14 Chicago Daily Tribune, May 29, 1899. 15 Sporting Life, June 24, 1899. 16 Chicago Inter Ocean, June 22, 1899. 17 Kansas City Journal, June 30, July 3, and July 15, 1899. 18 Indianapolis News, July 20, 1899. 19 St. Paul (Minnesota) Globe, July 31 and August 10, 1899. 20 Sporting Life, October 21, 1899. 21 Spalding’s Official Base Ball Guide, 1901. 22 Los Angeles Herald, April 27 and October 25, 1901. 23 Bill Lamb, “Frank Corridon,” sabr.org/bioproj/person/0218c3e1. Corridon was probably not the first to make this discovery; for a discussion of possible nineteenth-century spitballers, see: Peter Morris, A Game of Inches: The Story Behind the Innovations That Shaped Baseball (Chicago: Ivan R. Dee, 2010). 24 San Francisco Chronicle, June 21, 1902. 25 Los Angeles Herald, December 11, 1902. 26 Sporting Life, December 27, 1902. 27 San Francisco Chronicle, December 30, 1902. 28 Los Angeles Herald, May 15, 1903. 30 Los Angeles Herald, July 4, 1903. 31 Anaconda (Montana) Standard, September 5, 1903. 32 Los Angeles Herald, May 22, 1903. 33 Salt Lake Herald, July 20, 1903. 34 Stuart Schimler, “Big Ed Walsh,” sabr.org/bioproj/person/3a0e7935; Sam Bernstein, “Frank Smith,” sabr.org/bioproj/person/bb6d2cab. 35 Salt Lake Tribune, November 6, 1904. 36 Chicago Daily Tribune, April 23, 1904. 37 Chicago Daily Tribune, May 20, 1904. 38 St. Paul Globe, October 24, 1904. 39 Sporting Life, October 15, 1904. 40 Brooklyn Daily Eagle, April 19, 1905. 41 Chicago Inter Ocean, July 4, 1905. 42 Washington Post, September 26, 1905. 43 Sporting Life, October 21 and December 16, 1905. 44 Brooklyn Daily Eagle, March 27, 1907. 45 Washington Post, April 27, 1906; Los Angeles Herald, April 30, 1906. 46 Brooklyn Daily Eagle, June 28, 1906. 47 Washington Post, July 8, 1906. 48 New York Times, August 5, 1906. 49 Chicago Daily Tribune, August 11, 1906. 50 Brooklyn Daily Eagle, September 20, 1906. 51 Chicago Daily Tribune, September 26, 1906. 52 Pittsburgh Press, February 15, 1907. 53 Chicago Daily Tribune, July 7, 1907. 54 Albuquerque Citizen, October 29, 1907. 55 Brooklyn Daily Eagle, November 15, 1907. 56 Fairbanks (Alaska) Daily Times, August 2, 1908. 57 San Francisco Call, March 29, 1908. 58 San Francisco Call, July 19, 1908. 59 baseball-almanac.com/rb_pias.shtml, visited December 2014. 60 Sporting Life, November 7, 1908. 61 Brooklyn Daily Eagle, January 25 and 28, 1909. 62 Brooklyn Daily Eagle, January 31, 1909. 63 San Francisco Call, July 13, 1909. 64 Oakland Tribune, July 14 and 18, 1909; San Francisco Call, July 19, 1909. 65 Indianapolis Star, November 22, 1909. 66 Sporting Life, May 27, 1911. 67 Lincoln (Nebraska) Evening News, January 16, 1912. 68 Oakland Tribune, June 19, 1909; San Francisco Call, March 26, 1910, and March 28, 1912.